This is an inspirational and practical handbook celebrating one of the most popular and attractive garden plants. It features a full photographic directory of over 60 lilies, including Asiatic, Martagon, Candidum, American, Longiflorum, Trumpet, Aurelian and Oriental hybrids, as well as a range of beautiful species lilies. For each variety, full botanical information is provided on its history, growth, hue, height and suitability. 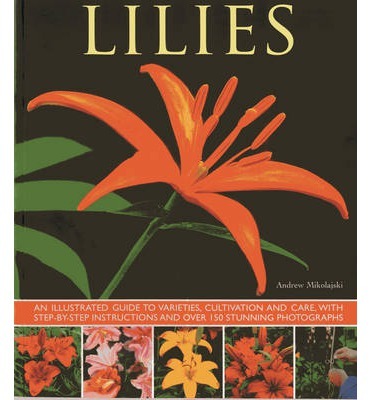 It offers step-by-step photographic guidance on planting lilies, growing in containers, techniques for propagating and hybridizing, and how to deal with pests and diseases. It includes a handy buying guide, a calendar of care explaining what tasks need doing in each season, and a detailed list of recommended varieties to try. Renowned for their magnificent displays and powerful fragrance, lilies are the most regal of all summer bulbs. Traditionally, many lilies were connoisseurs' plants, but extensive interbreeding has created a whole range of sumptuous hybrids that are surprisingly easy to grow. Lilies look wonderful grown in borders or in containers on the patio or terrace, and this book explains how to buy, cultivate and plant them successfully. A history section explores the rise in popularity of the lily, and a sumptuously illustrated directory features 60 of the most beautiful varieties. The book will ensure a thriving collection of these intoxicating flowers in your garden.